Rev. 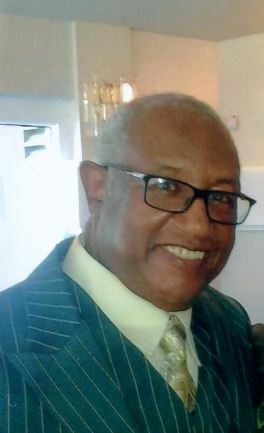 Dr. William Chatman passes away February 3, 2019. May God continuously bless and comfort you all during this time. Cousin Buddy, your work down here was complete and The Master Planner needed you more. Well Done!! Until we meet again!! Resting in peace, praise, and paradise. May the Lord’s loving promises to comfort you give you strength as you walk through this difficult time. May The Rev.Dr. William Chatman’s family and church family find additional comfort in knowing, The Mount Zion Baptist Church Family is praying for you. His brother and other family members are members of Mount Zion, where we all will remember his smile and loving,caring spirit. In times like these, God’s presence, through the power of His Holy Spirit, gives us hope and peace for days ahead. Lifting Mrs. Chatman and the Little Zion Baptist Church family up in our thoughts and prayers. Asking God to give strength and courage during the time and many days ahead in Jesus Christ name amen. With love and in Christ service. Pastor Anthony R. Sanders and Greater Bethel AME Church Family. Dr. Chatman was a man of authentic wisdom, grace, and integrity. This man was selfless in his pursuit to serve others while he maintained the responsibilities of pushing The Kingdom’s agenda! I will forever be grateful for his many acts of kindness towards me and the ministry for extending his pulpit to me as I began to spread my wings within the ministry. Thank you Pastor Chatman for not forgetting about me, but seeing my potential as being critical enough to entrust me to stand where you stood! Praying for comfort, peace, and must well rest for Mrs. Chatman, the family and The Little Zion church family! I am praying for the Chatman and Little Zion Baptist Church families. Pastor Chatman had a true Servants spirit, and was a vital credit in the race of Kingdom building. I am praying for the strength and courage of those whom he served to stay in the fight. Honor the humility and honesty of his legacy. To the Chatman Family: I remember Dr. Chatman as a kind man of God. I met him through his cousin and we worshipped at Mount Olive together and helped with the Youth Choir. May he rest with Jesus and may God comfort each of you as only He can. On behalf of the pastor and Antioch Missionary Baptist Church family. we certainly want to lift our prayers and thoughts for first lady Brenda Chatman and the Little Zion church family. Dr. Chatman will be missed, but never forgot. well done, my friend and brother. may our Father continue to comfort the family. blessings and favor.